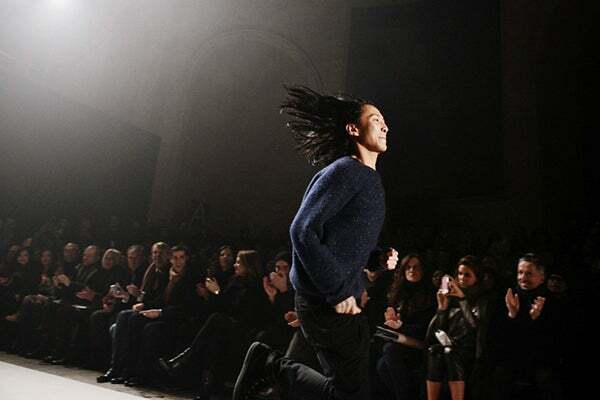 Since the news broke of Alexander Wang's plan to follow in the steps of Nicolas Ghesquière at Balenciaga, there has been endless discussion of what to expect, what will be different, and, naturally, can he do justice to the fashion label's history. As the anticipation draws to a close, Suzy Menkes finally clears up some of the mystery behind one of the biggest fashion news items of 2012. In the New York Times today we finally find out that, while we were tossing several names into the ring for possible Balecianga successors, François Henri Pinault of PPR was quite quick to offer the position to Wang. The 29-year-old designer was hesitant to commit, but there's really nothing like a little encouraging push from your friends…especially when that person happens to be Anna Wintour. As the article states, the Vogue editrix told Wang, "he would never forgive himself" for turning down the opportunity.